Devon Delivers, And Delivers, And Delivers… – Run. Ride. Roam. Carol, our friendly and very familiar BBC weather presenter told us we were in for “heavy rain” today. Hmmm, what to do. Of course! Let’s go for a ride! Riding and the rain are such a regular combo for us, we might as well get out there in it. 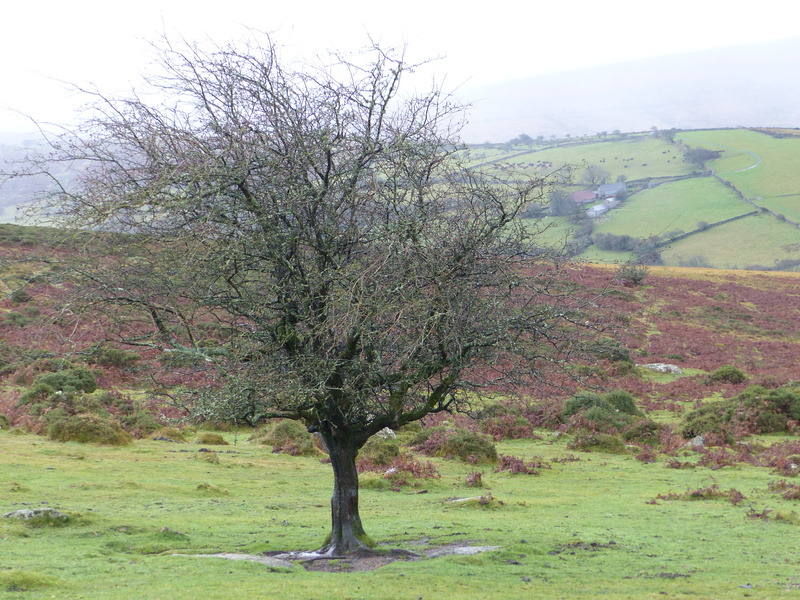 We headed off for the Dartmoor National Park, so we could take the bikes off roading and see some more of the countryside. 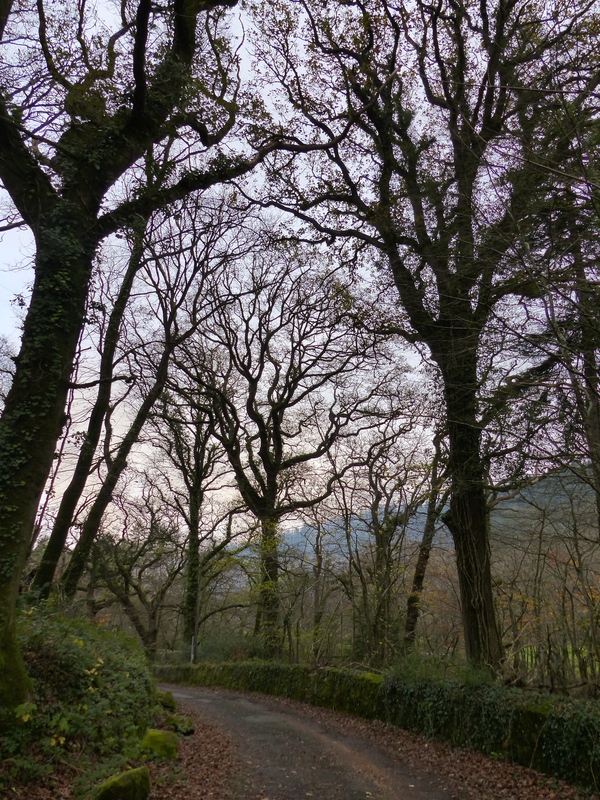 On the way we passed through the little village of Buckfastleigh and through more glorious scenery, with beautiful trees and forest beside us. 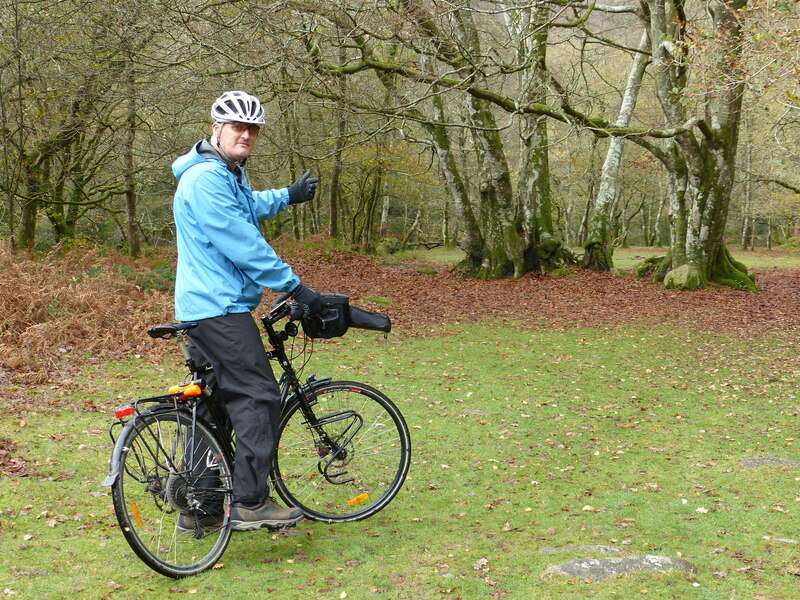 We eventually stopped at a spot in the forest, to do some freestyle pedalling amongst the trees and alongside the River Dart. 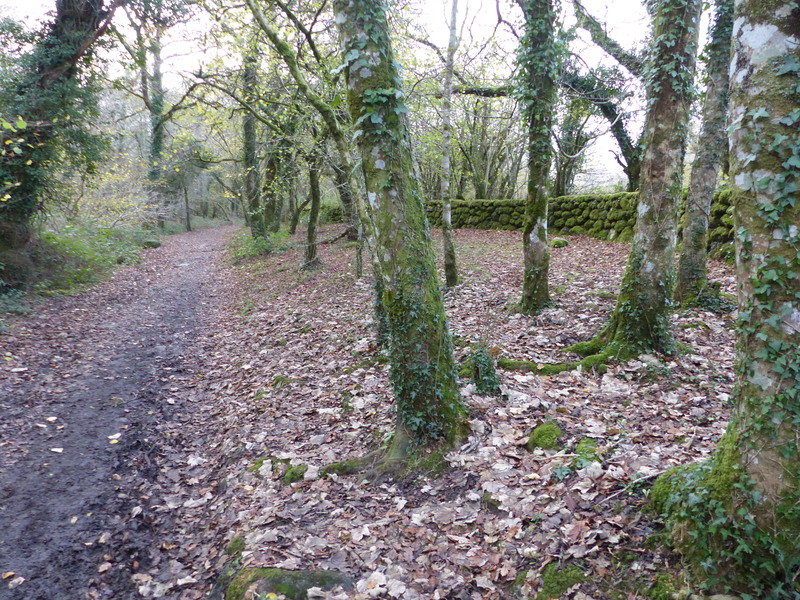 The path was rugged and rocky and muddy and so covered with leaf litter that it was hard to see the hazards until the bump that alerted us to a rock or the slip of a wheel down the side of a tree root. It was fantastic! The heavy rain was yet to strike and we even saw a teeny bit of “brightening” at times, and it was a gorgeous place to ride. 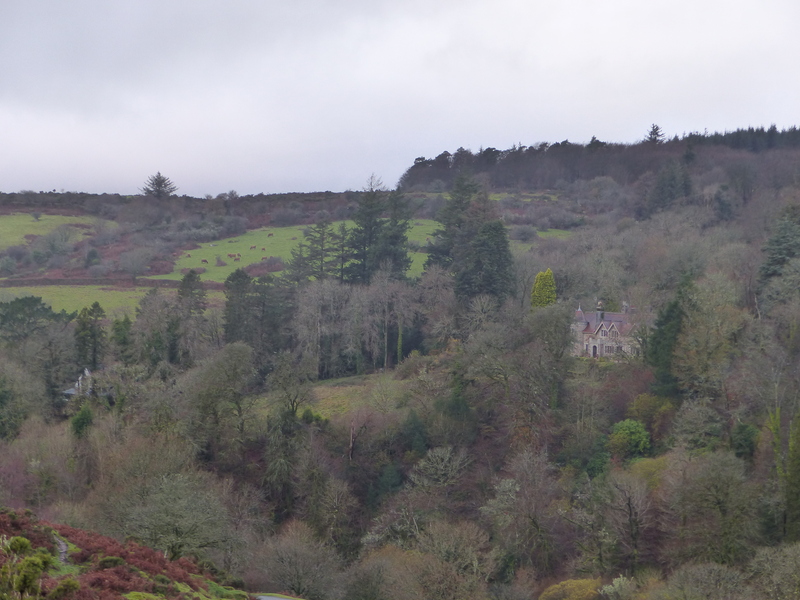 We bumped along the track, beside the river and under the beautiful trees, passing ramblers out in the drizzly weather to enjoy their stroll in the great outdoors. When the track finally became totally unrideable, we turned around, rode back through the beautiful forest and then took to the road. Up we went! Up, up, up a doozy of a hill! 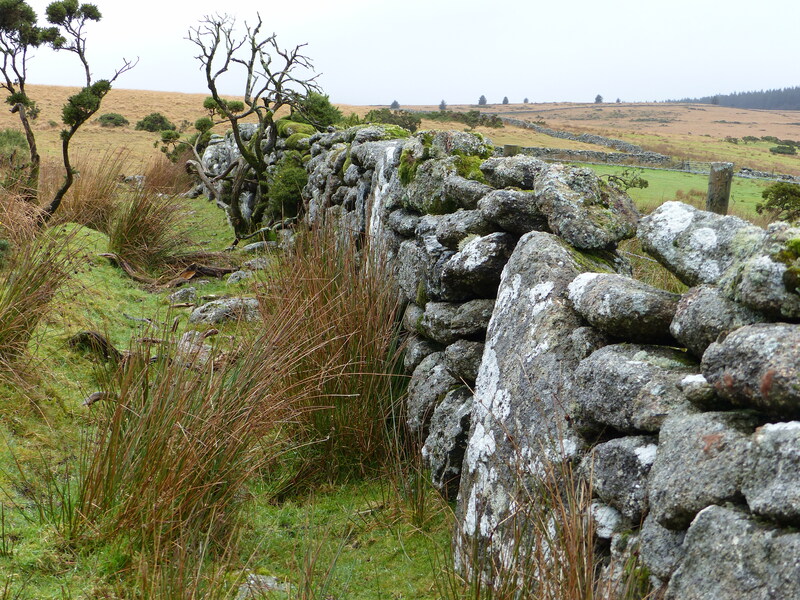 The road was lovely, a quiet country lane, passing stone houses and climbing up beside the stone walls and hedges. Wonderful. When we turned around, Steve’s reward for the climb was his downhill thrill ride, and he got his dose of adrenalin for the day. Back in the van, just as the rain started to really come down and we set off to cross the moors. Oh my, how beautiful. 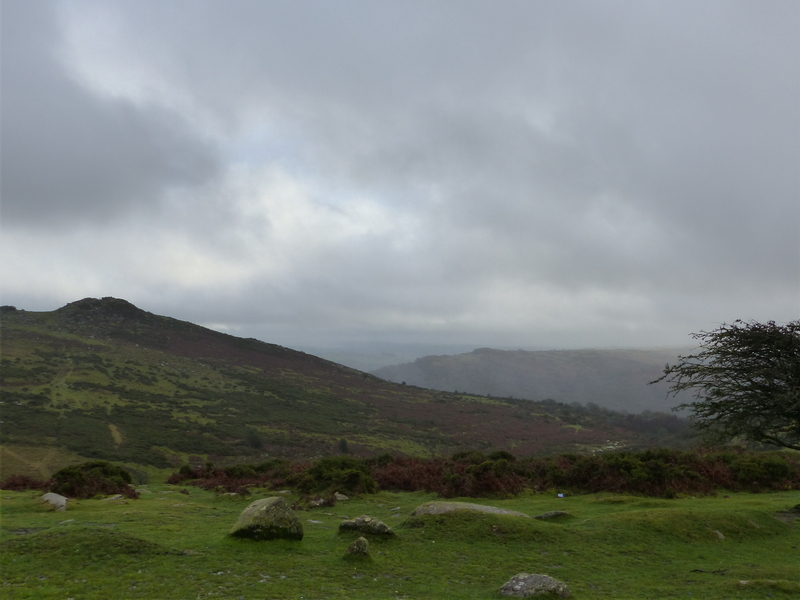 It was like visual literature, a story of rugged beauty, with a swirling mist and sheets of rain sweeping across the mottled landscape. It was a scene just made for a Bronte. I was practically swooning, it was so beautiful, so mysterious, a vista that was both treacherous and enchanting in equal measure. 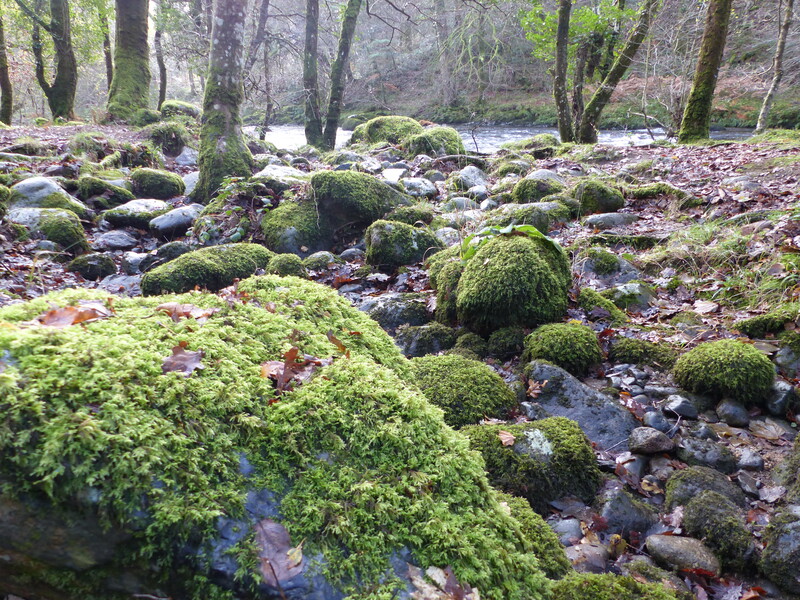 I think these were even more beautiful than the Yorkshire moors and the wild landscape and wild weather, including the wind howling down the valleys, created a quite bewitching scene. 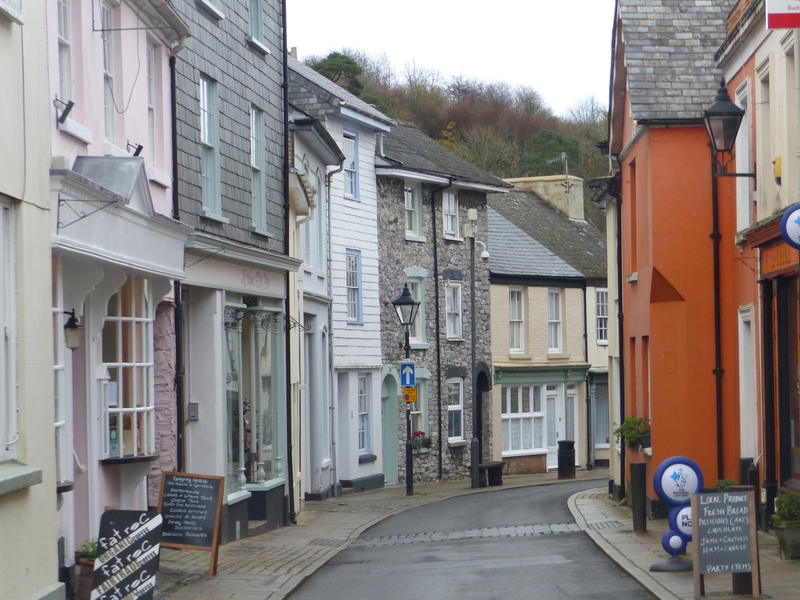 We returned to our room for a quick change, bite to eat and then headed out again into Dartmouth town. Despite the rain, we were off to the Candlelit Dartmouth event with the community. 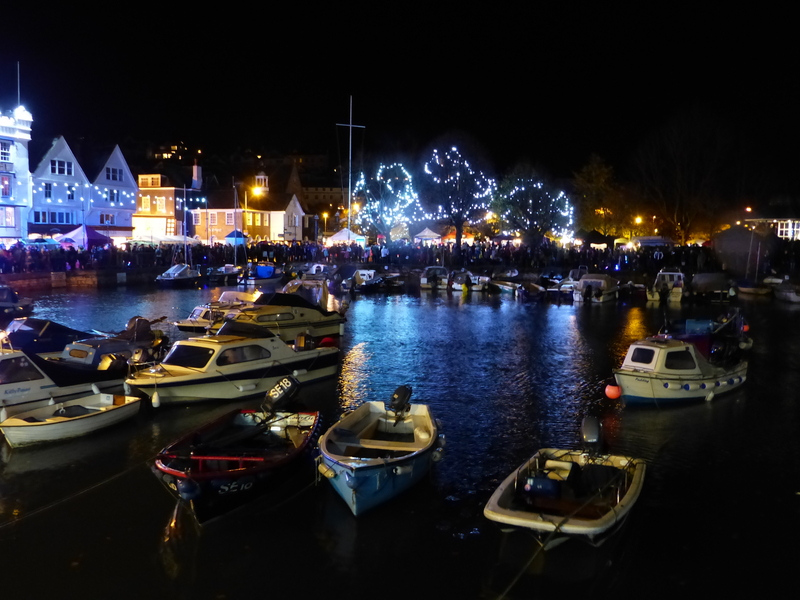 This was a Christmas event, with a market, carol singers and Santa arriving by boat. It was absolutely wonderful! 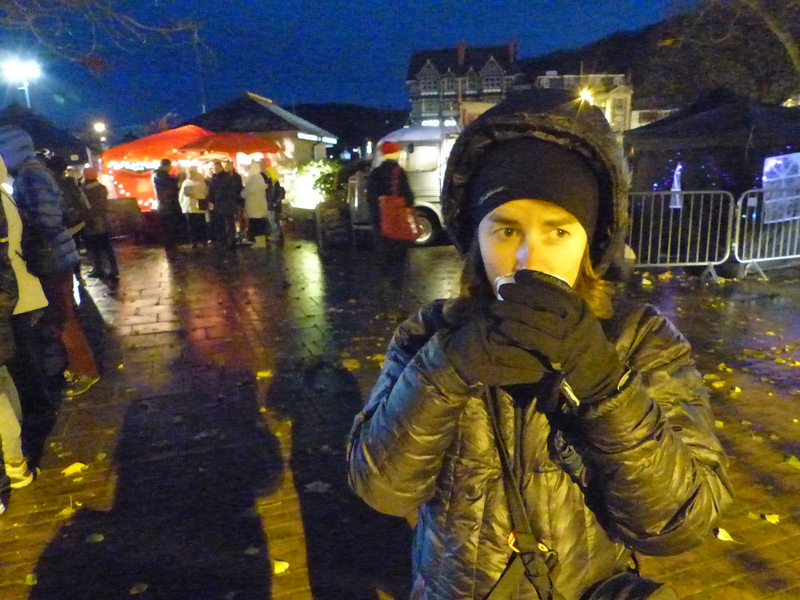 We stopped and sang along with the carol singers and I sipped on a cup of mulled wine and it was absolutely perfect. 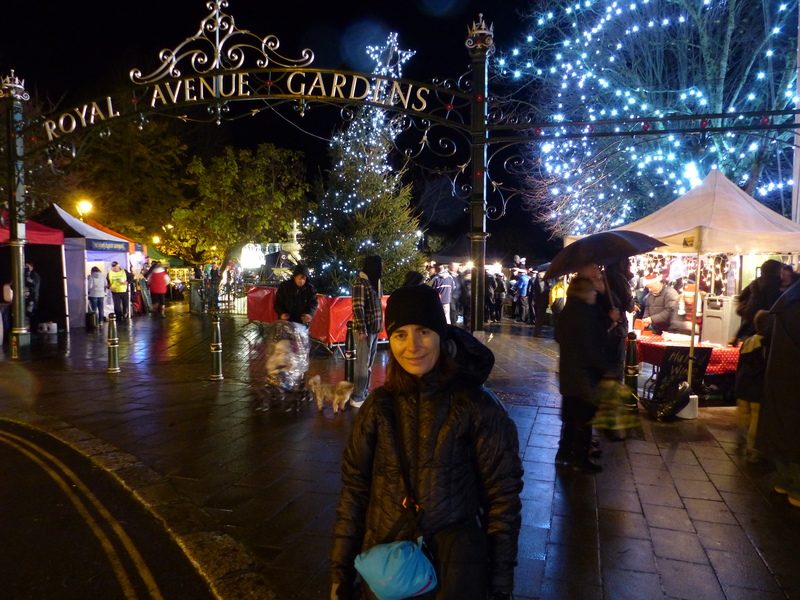 There I was, in a small English town, in winter, listening to carols, singing along and drinking mulled wine in the rain. A very special experience! Then I went one better and got a bag of hot roasted chestnuts too. I hadn’t had roast chestnuts since the first and only time I had them as a kid and tonight they were just as delicious as I remembered and the whole experience was just magical. Then we joined in the countdown, as the Mayor did the official switching on of the town’s Christmas lights. It was like being part of a community and it was marvellous. While I was being swept up in my enchanting experiences, Steve had his own moment that saw him practically drooling. 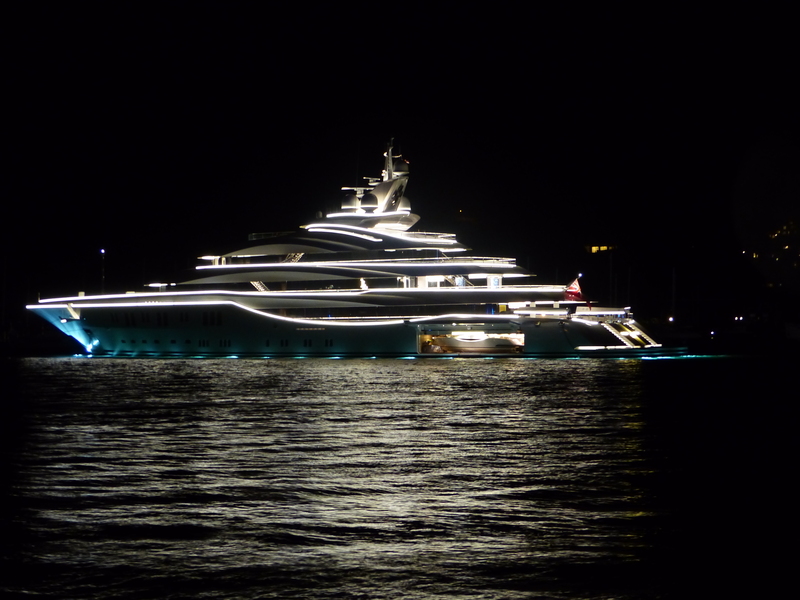 After his brush with the Ferrari yesterday, we saw a “super yacht” moored in the bay, so super it had its own garage with two other boats parked inside and Steve had a little wistful moment of fantasy life! What a wonderful day. Thank you England. Thank you Devon. You delivered once again, delivered us more golden moments and exquisite scenery. You’re delivering dreams. With everything that’s going on though, we may need to dip into our yet-to-be-used medical supplies…between my swooning and Steve’s drooling, we may need a bulk order of tissues and a few bottles of smelling salts! I couldn’t ask for a better reason for First Aid!